Progress begins with change and changing how we see the world. Respect for nature is paramount. We are the change, which we seek. The situation we are faced with has created a new challenge. 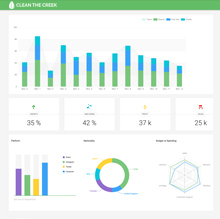 I created Clean the Creek to give people of this earth the tools to meet the challenge. 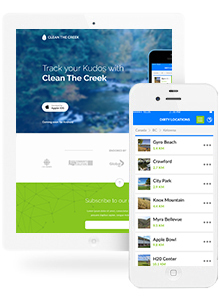 Clean the Creek is our first App, in a suite of new free apps. Developed by my company, Red Cherry to help save our treasure, the Earth. Yes this is but one App to start with, but it's about small changes towards the better you and a better environment. If we seriously don't consider changing our direction, we may end up where we are heading, an environmental disaster. This scares me as I have three children of my own and I want them to be able to enjoy the world not only as it is now but cleaner than our generation found it. Call us at +1 888 401 6668 lets talk about your app! Artificial Intelligence calculates suspected illegal dumping activity for districts, citys and towns. 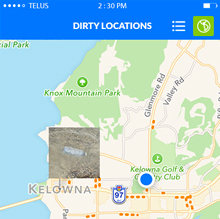 Realtime mapping for tracking / cleaning illegal dumping locations. Predictive intelegant displays for each user. 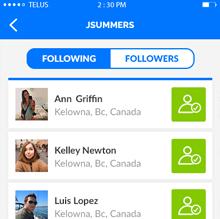 Custom social networking including likes, comments, following, followers all tied into real time push notifications. 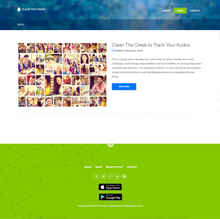 Website tie in to realtime data. Scalable to millions of uses using Amazon servers and light weight big data storage.